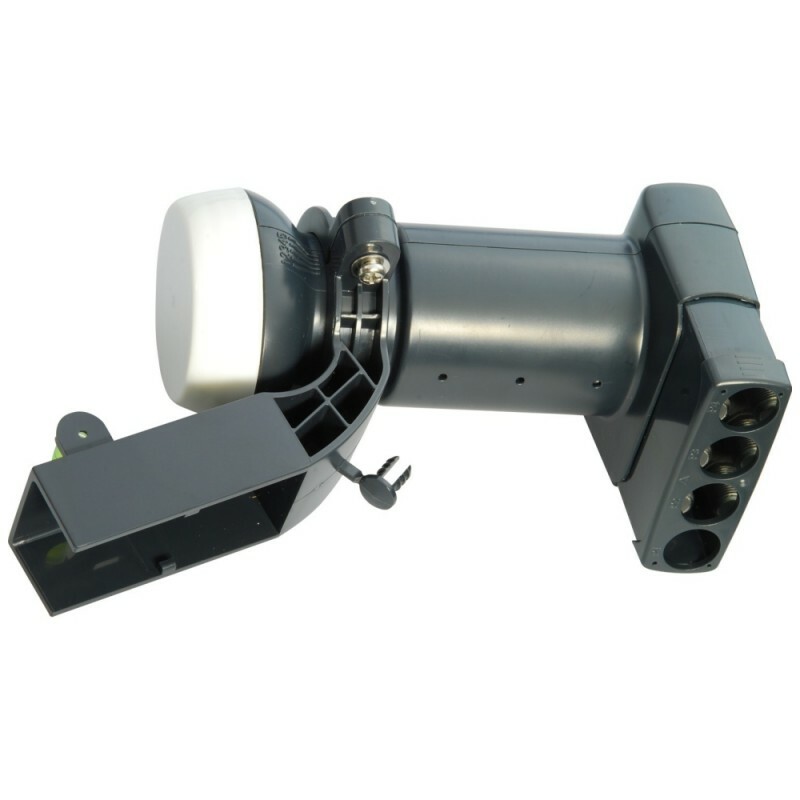 Official Sky quad output LNB, latest low threshold version, fits all standard Sky dishes. This unit will feed up to four standard Sky Digiboxes or two Sky Plus Digiboxes, it has a pull-down weather shield which protects the contacts against the elements. There are two types of Sky mini-dish and by using the adapter supplied this unit will fit both. Great performer, fitted straight on! Bought one of these, came with two adaptors but didnt need any, fitted straight on and signal quality/strength is brilliant. Click the button below to add the Sky Digital Quad Output LNB to your wish list.